The nights are long. There’s a chill in the air and the leaves have turned. It’s a great season to be out on your bike but the clocks change signals that summer is finally, definitively over. A decent set of bike lights is essential for safe and enjoyable cycling. We answer some common questions that come up again and again to make sure you have all the information you need for a well-lit ride. As a London-based company, we know the UK rules the best. If you need help for another country let us know and we’ll do our best to find the answers. Do I need bike lights? In the UK, the law states that you must ride with front and rear lights between sunset and sunrise. However, autumn and winter also bring with them dull days and poor visibility, so riding with lights during the day is advisable. As well as lights you should also have a red rear reflector and orange reflectors on your pedals, and white front and spoke reflectors are recommended. Unless your bike is very old, it’s likely that these came attached when you bought it. If not they are very inexpensive and easy to fit. Exact laws in other countries vary so be sure to check traffic regulations. If you’re unsure whether you need lights, we’d recommend erring on the side of caution and having them with you anyway. What colour should my bike light be? Your lights should be white at the front, red at the rear. If that sounds familiar it’s because it’s the exact same as every other vehicle on the road. Using the lights the wrong way round is dangerous. As vehicle drivers associate red with a rear light, having it mounted at the front could confuse a driver and make it difficult to interpret where you’re coming from and which direction you are travelling. Are flashing bike lights legal? Lights with a flashing mode are an increasingly popular option for making you visible. In the UK, flashing bike lights are legal as your main lights. However, we know that in many countries around the world, such as the Netherlands, these are not permitted. Most lights which have a flashing mode also have a steady mode but make sure to check that is the case before buying. All Beryl bike lights with a flashing mode also come with a steady mode. Are flashing bike lights safer? So if flashing bike lights are legal, does that mean they are safer? There is some difference on opinion. On the one hand, the movement created by the flashing light can attracts the eye of other road users. On the other, flashing lights can make it more difficult for a someone to judge distances. That means that a driver can see you are ahead, but has a hard time telling just how far ahead you are. 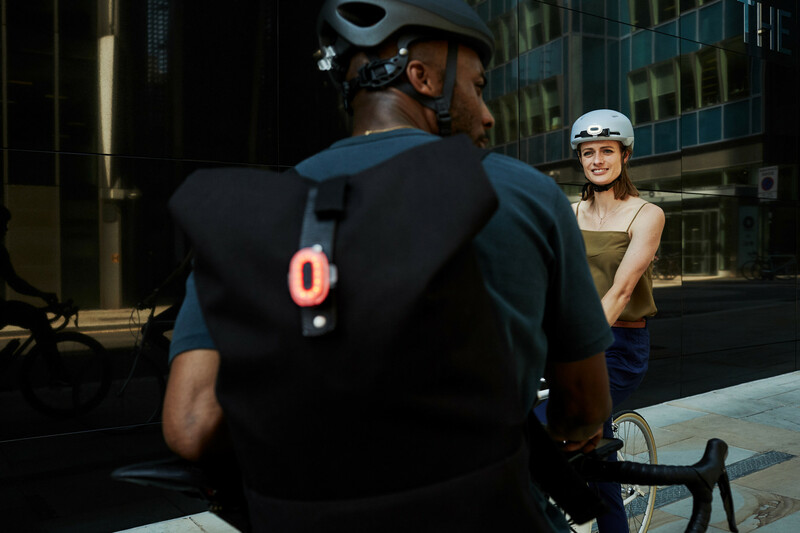 A solution can be to use both types at light at once - a solid red light on the seat post and a second light on flashing mode attached to a helmet or backpack. Or pick a light with a pulse mode like our Pixel which combines both modes for maximum safety. How bright does my bike light need to be? The brightness of your light will depend on what you need it for: seeing, or being seen. 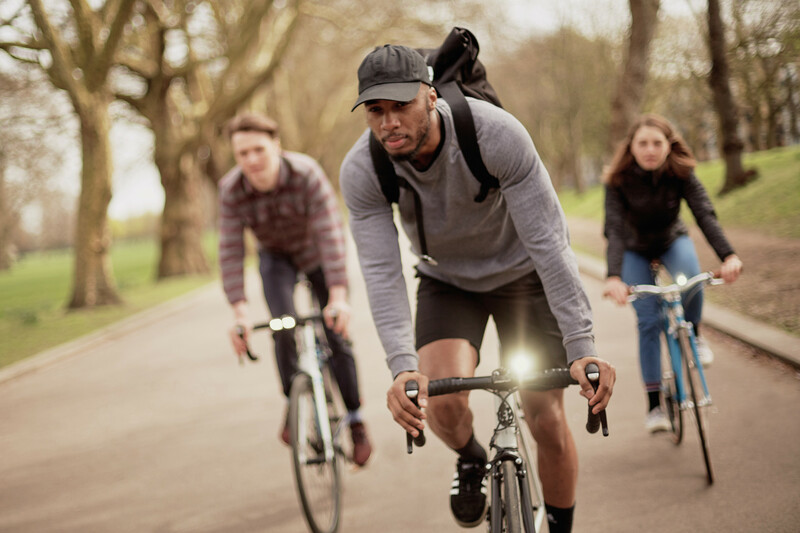 To find out more about the difference between seeing and being seen, check out our blog post “Types of Bike lights”. When buying bike lights, the brightness will usually be displayed in lumens. This is a measure of how bright it is. 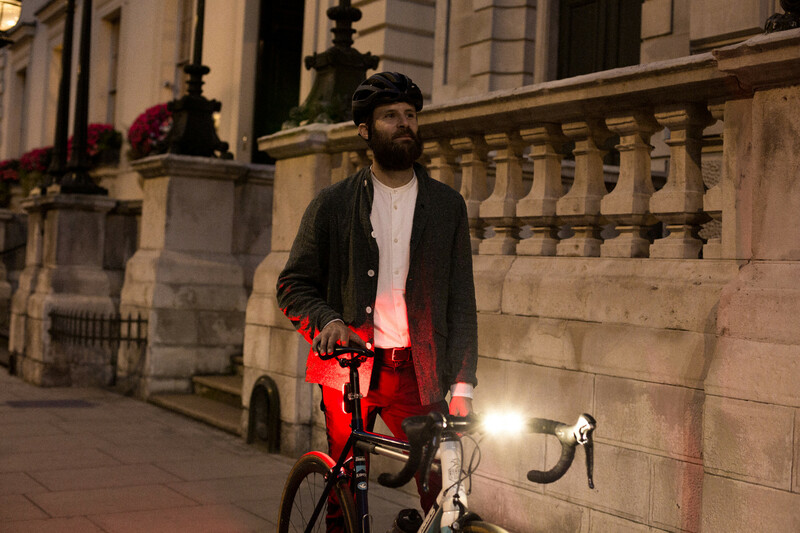 For a “be seen” light for city riding in well-lit conditions, 50 lumens is a good minimum for a white light. You’ll also want to look for a light with a concentrated light output. Even a small light like the Pixel can glow very brightly thanks to the light being highly concentrated. 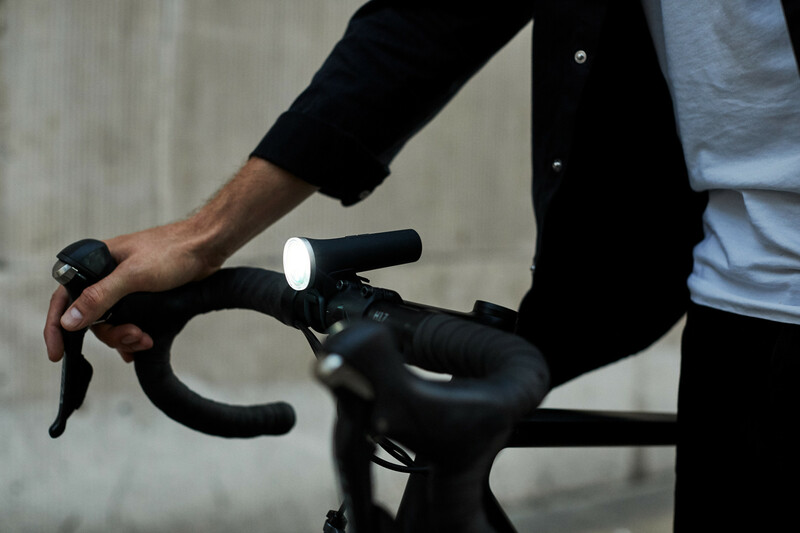 For rural rides or if your route takes you through darker back streets, anything from 300 lumens, such as the Laserlight Core, will help light the way as well as make sure you are visible. The beam pattern should also project the light forward onto a focused area to illuminate the road ahead of you. Make sure your "see" light is properly aimed so that it doesn't dazzle other road users. ↑ The Laserlight Core is bright enough to light the way on darker back streets on your route. How do I look after my bike light? Don’t drop it or let it fall - make sure it is securely strapped to your handlebars or seat post. Don’t submerge it. Waterproof usually means in the context of rain, not going for a full swim. The exceptions to that are our original Laserlight and Burner which feature a waterproof charging system. This is rare though, due to the way that the USB charging point is covered on rechargeable lights. Charge it up before you put it away. It might feel now like the sun is gone forever but the long days and light evenings will come around again and you might be using your lights less. If your bike has a rechargeable battery, make sure you charge it up before storing it away. That way you’ll be riding together for many years to come. ↑ Take your lights out in summer to keep them in top condition. Position - do you need a front light, a rear light, or both? Charging - do you want USB rechargeable or batteries? Mode - do you want a steady mode or a flashing light? Purpose - do you need a light to “See” or “Be seen”? Brightness - How many lumens do you need your bike light to have? Waterproof - do you need a light to ride in the rain? With a dizzying array of bike lights out there, how do you know when to use each one ? Check out our simple guide to the types of bike lights available and which ones you should use. 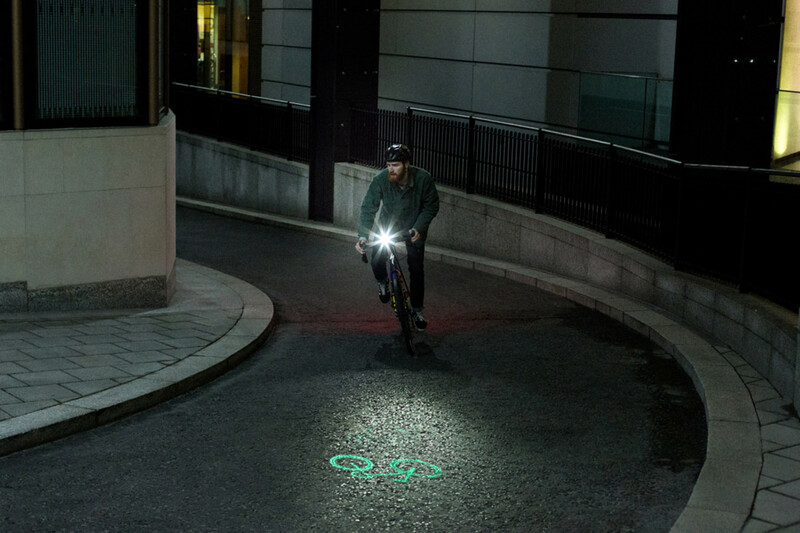 We take a look at how the patented Beryl Laserlight technology keeps cyclists safe when riding in the city.